The beauty of the Internet is that you can’t hear me singing and you should be very grateful for that! Why am I singing a 1980’s song? It’s about culture. 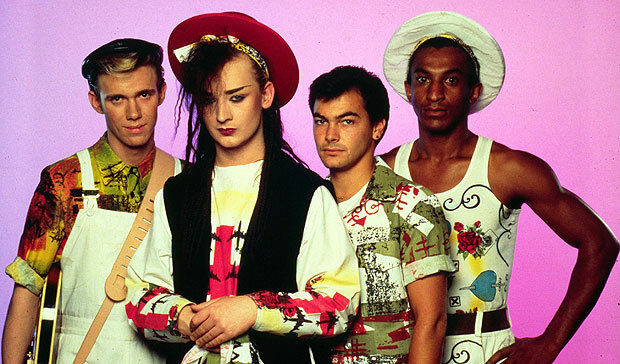 Get it, Culture Club. Because I have been thinking about culture a lot. I think we often forget the impact of organisational culture on our … erm … organisations. It may seem a slightly esoteric thing to worry about but the culture of your organisation will impact how your customers will see you, the type of staff you attract, how suppliers interact with you and even how you cope with risk or how innovative you are. The culture of an organisation is defined as the set of shared ideas, customs, social behaviours and knowledge of that organisation. It gives a place a sense of identity, it helps bring people together and it is how others see you. Importantly, it is also a very difficult thing to change. Change programmes that try to change the culture of an organisation are very, very difficult. Staff will identify with the culture of an organisation. It is a bit like being in a gang. That means that changing the IT systems, moving office, expanding into a new region are all child’s play when up against trying to change the culture of an organisation. If you are a manager reading this, I would like you to take a few moments and think about the culture of where you work. Look at what people wear, listen for favourite sayings, look for little rituals or habits, listen out for shared beliefs and assumptions. All organisations have heroes and villains and they all have their war stories. These are important attributes of your culture and will point to the things that you all find important. As I mentioned above, the leader of a group is a key determining factor of the culture of the group. Have a look at the culture and see what it says about you as a leader. Are you happy with what you see or are there things in your own behaviour you need to reflect on? Why should you do this? Let’s take an example where a client comes to your office and sees how you work as a team, would they be impressed? What does your culture say to potential new employees, will it attract the right sort of people? Finally, it may be that some of the things you find frustrating at work, such as failures in communication, process errors, customer feedback, may have their roots in your culture. It is an exercise I will be setting my delegates in my leadership development programme soon. I see it as a very useful exercise when trying to develop Emotional Intelligence which, as we know, is a more important factor in determining good leadership than IQ. Your ability to understand yourself and how others see you, your ability to understand trends and nuances at work and your ability to influence them are all vitally important if you want to be a good leader. It is what you are paid to do. If that sounds like a lot of hard work, remember, your job as a manager is to lead. If you are too busy, learn to delegate the day-to-day tasks and start spending your time on developing your Emotional Intelligence.